5 Polling Locations to Stay Open Until 8 p.m.
Five Chicago polling locations will remain open an extra hour, until 8 p.m., because they opened late, an election official told NBC Chicago. Election judges were late in opening the five locations and some voters were unable to cast their ballots, the official said. The 17th Precinct in the 1st Ward -- Iglesia Mision Del Valle, at 1847 N. Kedzie Ave. The 37th Precinct in the 1st Ward -- James Otis School, at 525 N. Armour St. The 3rd and 12th Precincts in the 41st Ward -- Saint Monica Parish, at 5115 N. Mont Clare Ave. The 18th Precinct in the 42nd Ward -- Left Bank At K Station, at 300 N. Canal St. The 8th Precinct in the 46th Ward -- Eastwood Tower, at 4640 N Sheridan Rd. 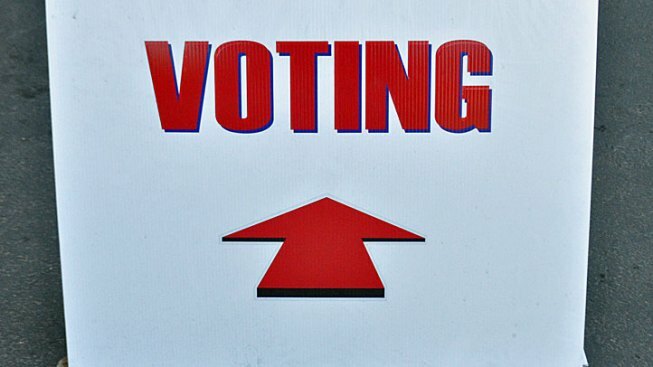 Officials also said two suburban polling places would stay open until 8 p.m. Tuesday. Election judges did not show up at the precinct in Blue Island causing the facility to open late and judges could not get into the building in North Riverside because it was locked, officials said. Additionally, a power outage at a Cicero polling place forced voters to submit handwritten ballots on Election Day Tuesday. The outage at St. George’s Church on 60th Court was reported shortly after 8:30 a.m. by Cook County Clerk David Orr, who said it affected Precincts 15 and 18. Orr said the power outage was likely due to a fire in Cicero and noted ComEd was working to restore power. Paper voting was expected to continue until power was turned back on. Orr also reported no heat at the Beverly Center in Broadview, but officials were sending a space heater to the facility as voters and judges were "braving conditions."